There are many types of roofs for commercial buildings. Owners can choose from a range of interesting options, including modified bitumen, shingles, single-ply, foam roofing, and more. From flat roofs to gambrel to Dutch gable designs, the range of options means you should have no trouble finding the right type of roof to suit your needs. While traditional roofs are still common across Middle Tennessee, Nashville has become the epicenter of innovative new roof designs. Take green roofs, for example. 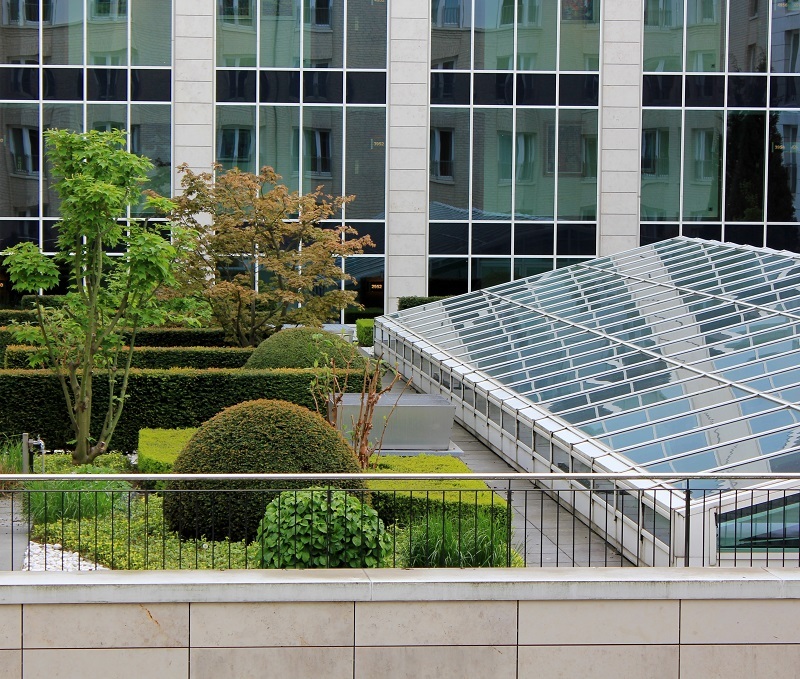 Green roofs have been used for many years in small pockets across the country, but in recent years, they have become quite a popular choice for commercial buildings. If you are curious about what green roofs are all about, here is a brief rundown of 3 types of green roofs that roof installation companies in Nashville can install for you. These roofs are designed to cover a broad surface area with only 3-6 inches deep of soil. The types of plants you can grow is limited by the thin depth of the soil, which is why extensive roof gardens typically have ground cover plants, desert grasses, or succulents. At the other extreme, you have intensive roof gardens. These cover much less surface area but are designed to hold 12 inches or so of soil. With these gardens, you can grow all the root vegetables and other greens you’d find in conventional gardens. They make for an exciting proposition if growing your own food as part of a sustainable lifestyle is appealing to you or the tenants of your commercial building. A cross between the extensive and intensive gardens. With these, you can have an extended garden surface with ground cover plants and grasses together with larger plants that require deeper soil access and look more stunning. Don’t wait too long before updating your roof. With innovative solutions like a green roof available to you – that optimizes your real estate in terms of space and beauty – there is no reason to ignore the opportunities for upgrading your roof. Contact the roofing installation professionals at Top Restoration to learn if green roofs make sense for you!